Spaldin uses a combination of first-principles and phenomenological theoretical techniques to study the fundamental physics of novel materials that have potential technological importance. Projects combine development of new theoretical methods, application of the methods to existing materials, design of new materials with specific functionalities and subsequent synthesis of the "designer materials". Transition-metal-oxides with "strong correlations", in which the behavior of each electron explicitly influences that of the others. Contra-indicated multifunctional materials, which combine multiple, technologically desirable functionalities that tend not to co-exist. Multiferroics, which are simultaneously ferromagnetic, ferroelectric and ferroelastic and/or ferrotoroidic. Materials with multiple coupled or competing instabilities, which in turn show strong responses to electric or magnetic fields or strain. Graduate Student Researcher, University of California, Berkeley, Chemistry Dept. Ph.D. Thesis: Calculating the Electronic Properties of Semiconductor Nanostructures: A New Theoretical Approach. Advisor: Prof. K.B. Whaley. Former Director, International Center for Materials Research. Goals: To enable ground-breaking discoveries in materials science and engineering by facilitating international, multidisciplinary research collaborations, to provide opportunities for young researchers to develop the skills needed to excel in a global research environment and to integrate materials research experiences with an awareness of environmental and developing world issues into undergraduate curricula. First-Principles Calculations for Condensed Matter and Nanoscience, 2005; Boulder Summer School on Frontiers of Magnetism, 2003.
of Solids, Dresden; Boulder Summer Schools on Frontiers in Physics. Control of Oxide Materials Response, ACS meeting, 2005; Multiferroics, MRS Fall meeting, 2005. Member of Agilent Technologies Expedition to install solar powered refrigerators in remote medical centers in Nepal. Worked with local High School teachers to develop and teach classes on Physics of Photovoltaics. Commissioned and premiered symphony on the Chemistry of Fireworks; developed accompanying lectures with the composer to enhance the concert-going public’s appreciation of chemistry. The prestigious scientific academy has elected 60 new fellows, of which 13 are women. Among them are AcademiaNet scientists Gabriele Hegerl, Yvonne Jones, Anne Ridley and Nicola Spaldin. The AcademiaNet scientist is one of five recipients of this year’s prize, worth 100 000 €. "It would be nice if there were more of us!" 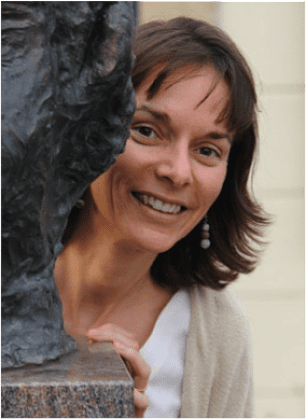 Nicola Spaldin about multiferroics, leadership, Women in Science and her passion for being an University Professor. The British chemist and materials researcher Prof. Nicola Spaldin is to receive the 2015 Körber European Science Prize. With the help of computer models, she has developed a new family of crystalline compounds: multiferroics, which have the potential to revolutionise computer technology.